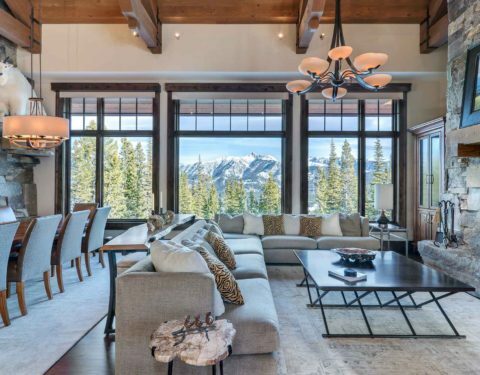 This retreat perfectly combines finishes and landscape to create a stunning luxury mountain house. 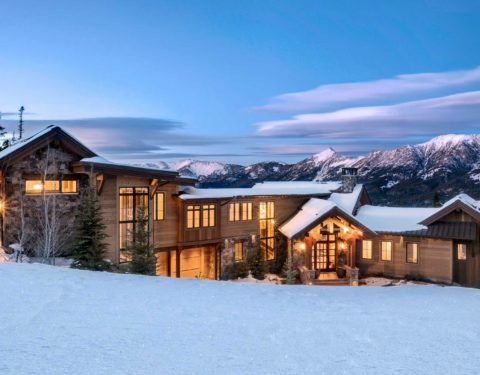 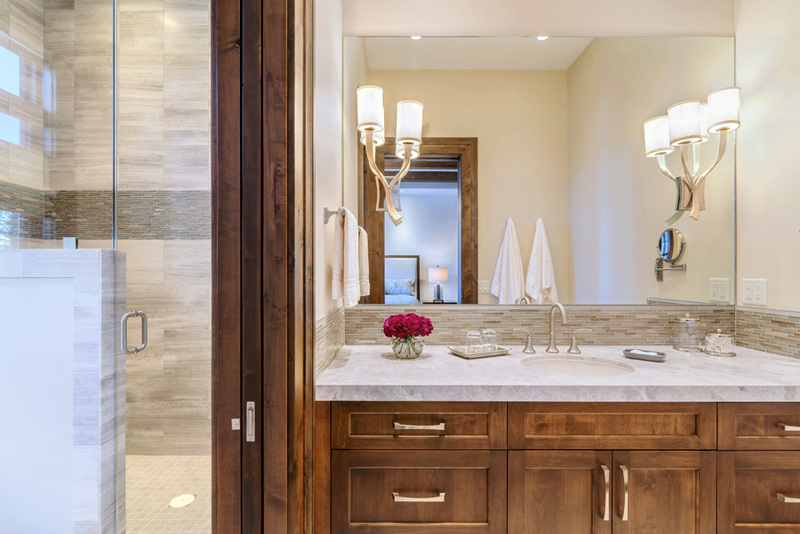 From the combination of vertical shiplap and horizontal channel cedar siding to the carefully crafted interior finishes and unique layouts, this home perfectly combines luxury with landscape to create a stunning mountain retreat. 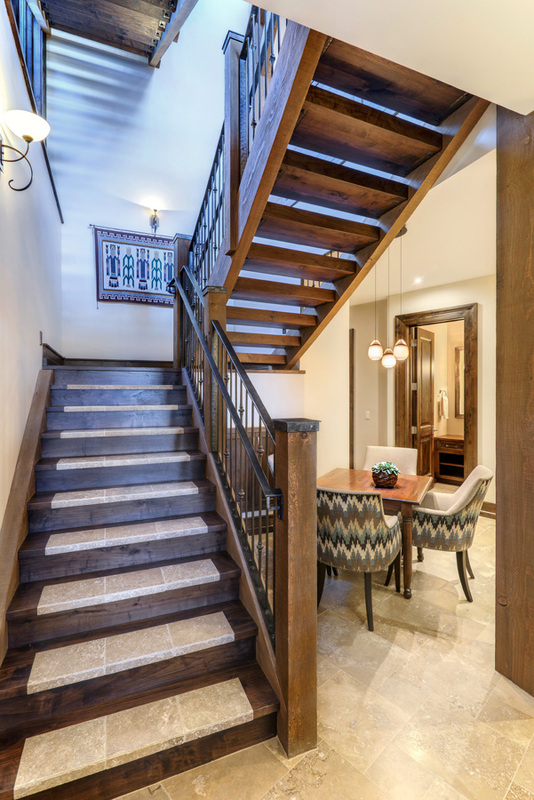 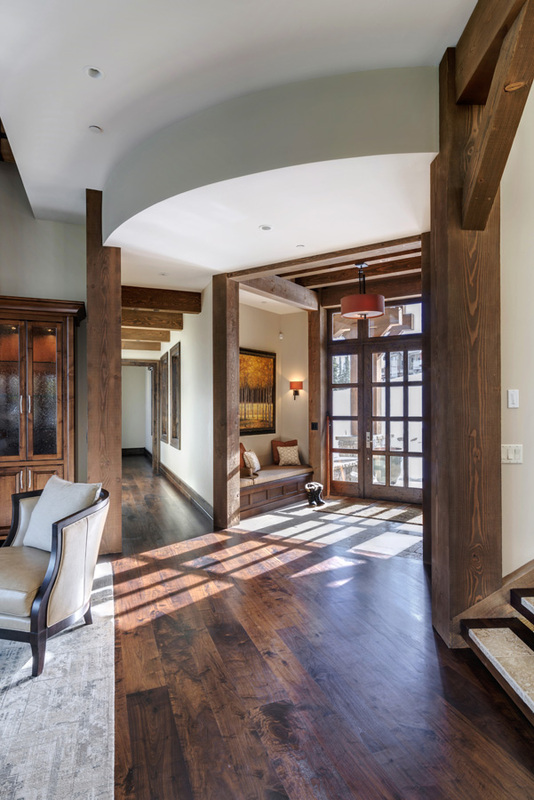 The front entry offers an unrestricted view of the heart of the home, a contiguous layout comprised of the great room, dining area, and kitchen. 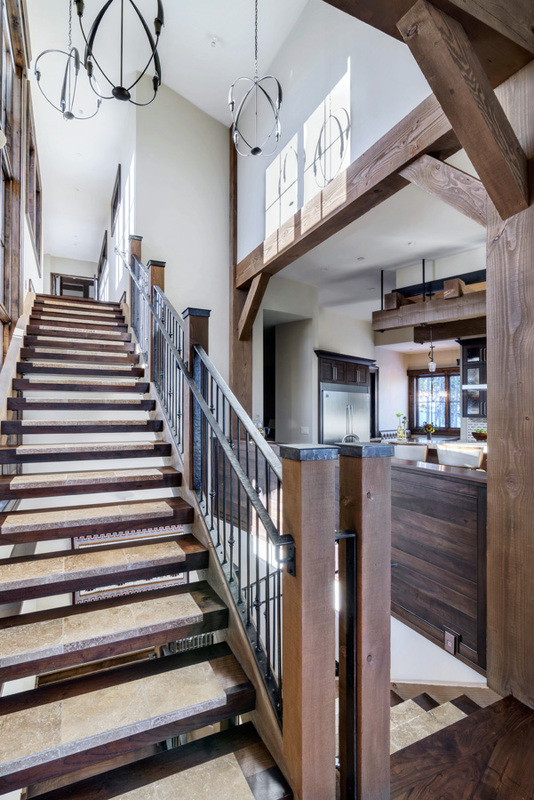 Special features include a timber-framed ceiling with hand-forged metal braces, a wood-burning fireplace centered over a single Fischer hearthstone weighing 3,500 lbs, and the slightly curved main stairway—an architectural masterpiece carved from a single Douglas fir timber spanning eighteen feet in length! 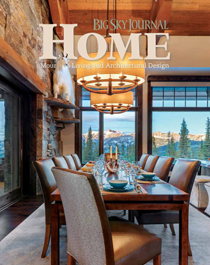 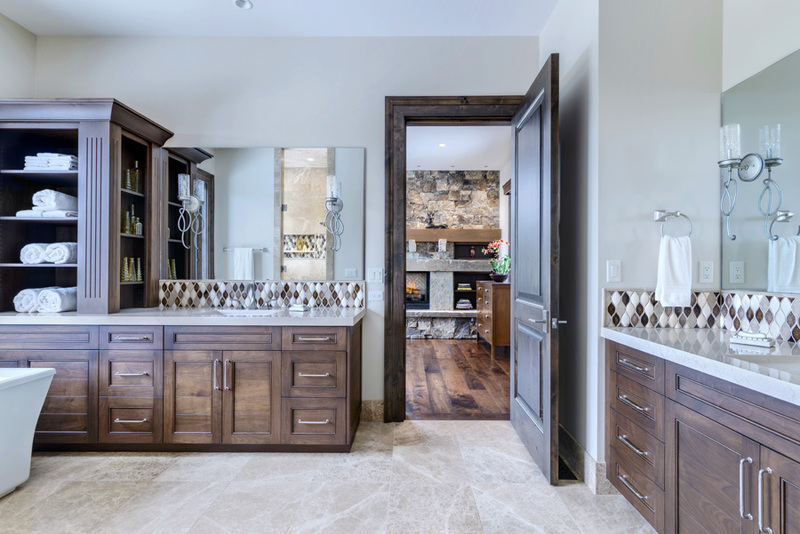 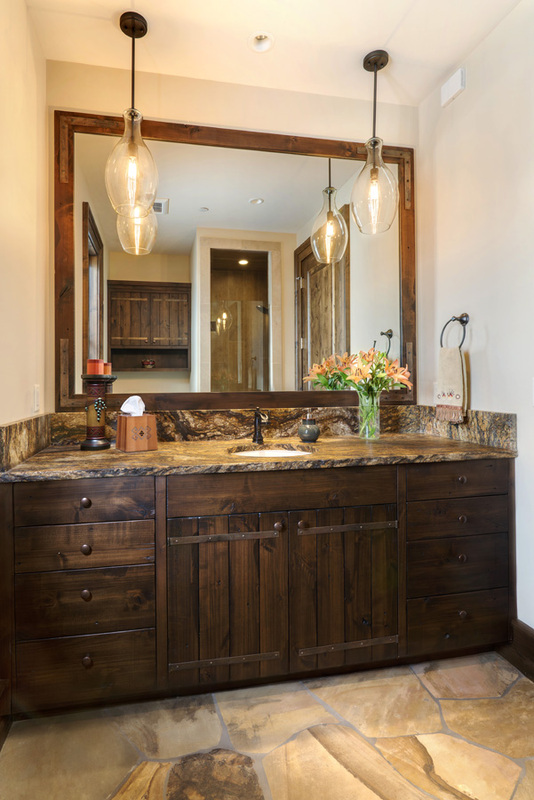 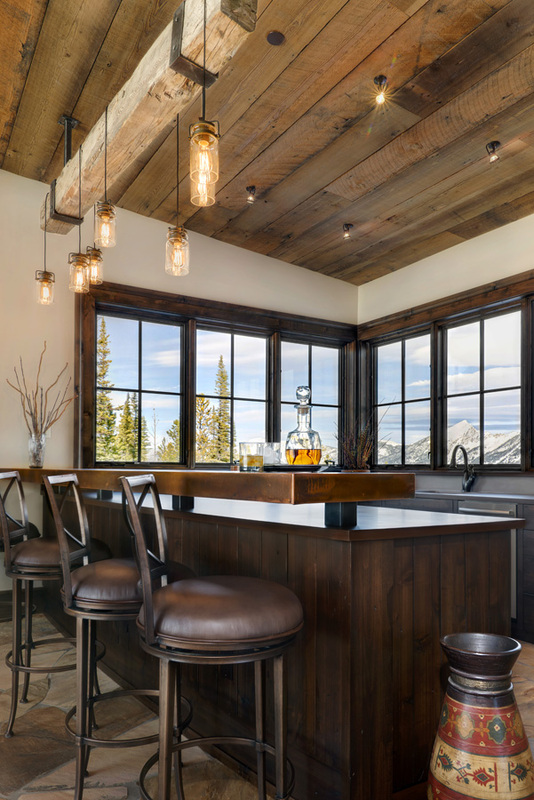 Throughout the home, neutral colors accented by richly-hued wood beams, iron finishes, and custom glass lighting contribute to a clean, modern palette with a hint of vintage-industrial charm. 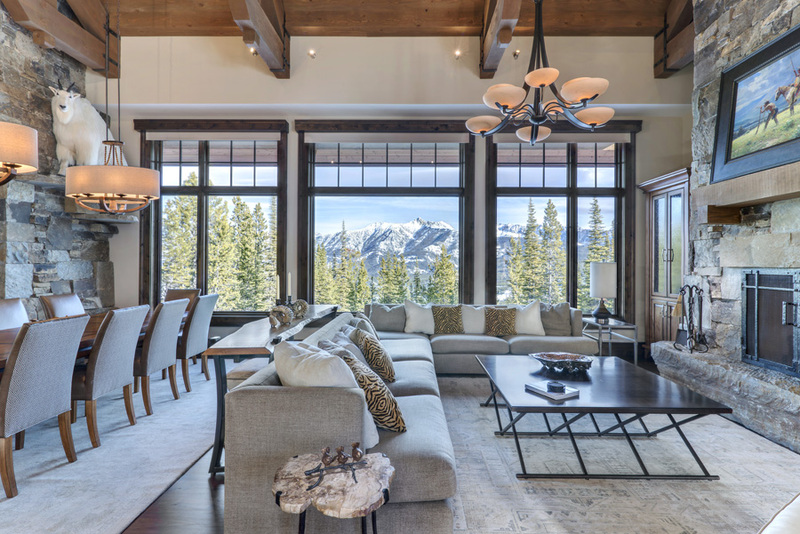 A generous spread of large windows wraps all three levels in sunlight and encompasses Spanish Peaks and Lone Mountain views. 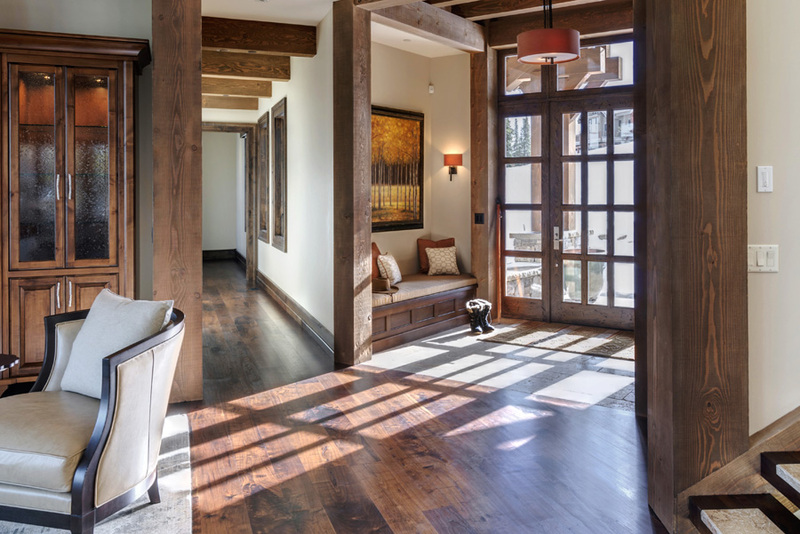 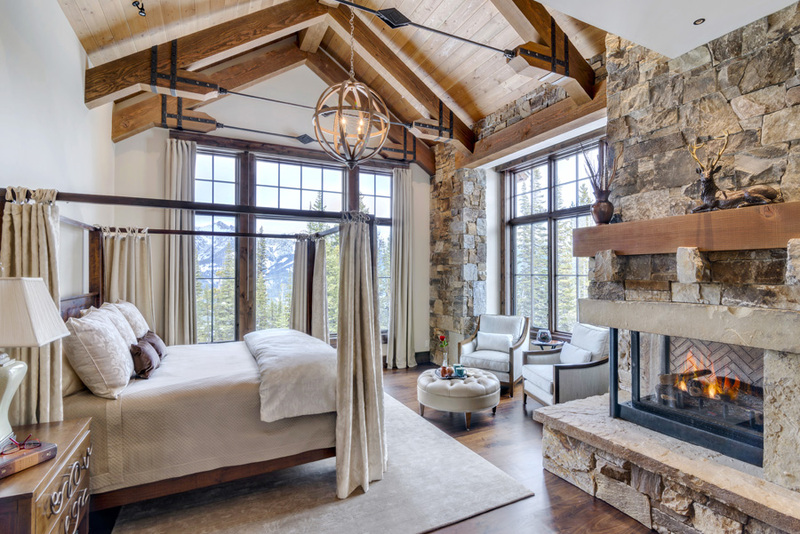 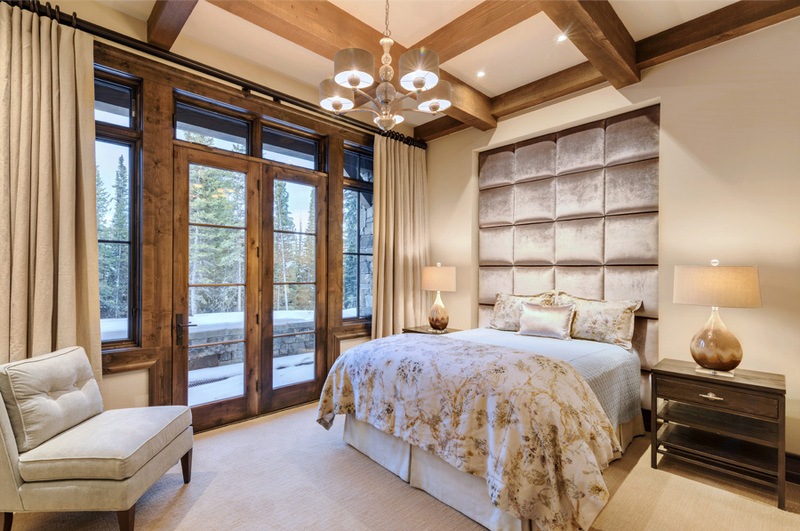 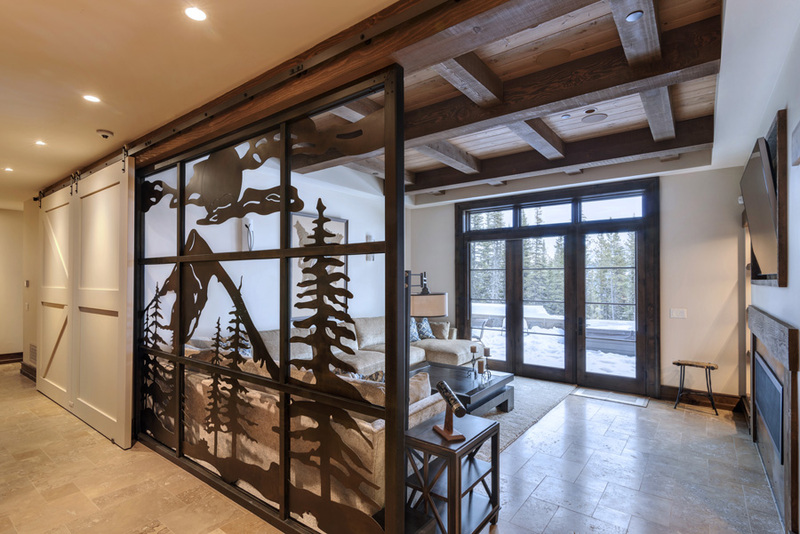 As tribute to the majestic terrain, the recreation room displays a beautifully forged steel montage of Lone Peak, creating an artistic wall between the cozy space and the main hallway. 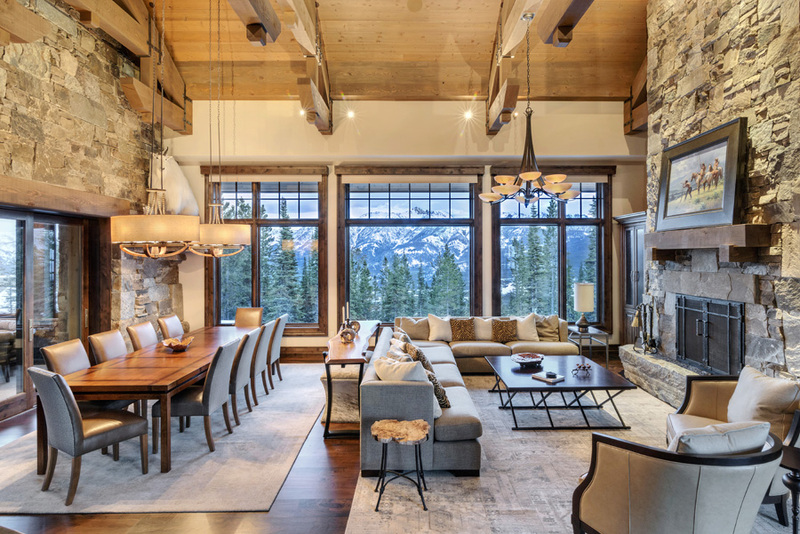 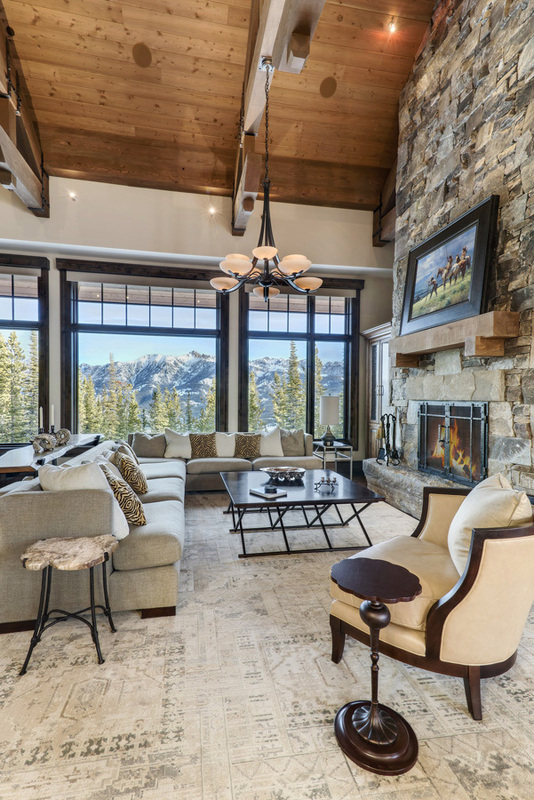 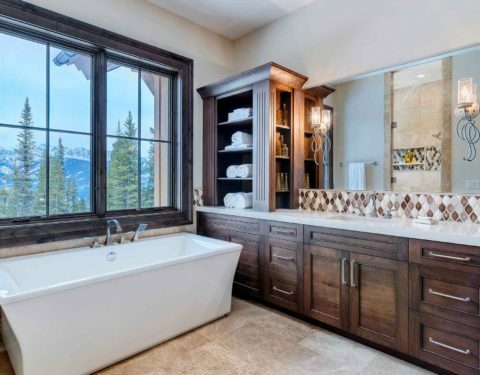 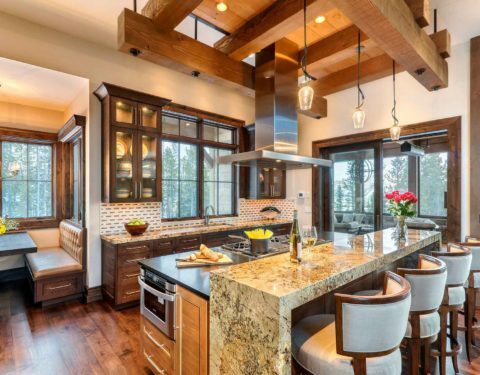 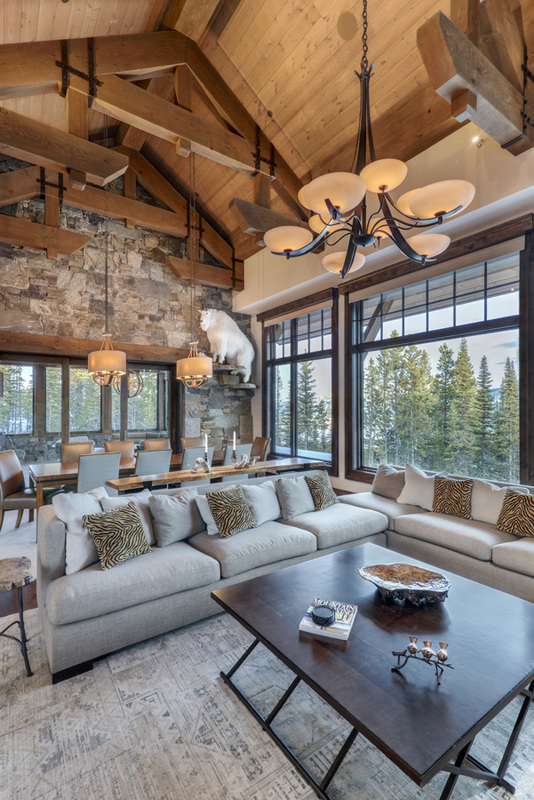 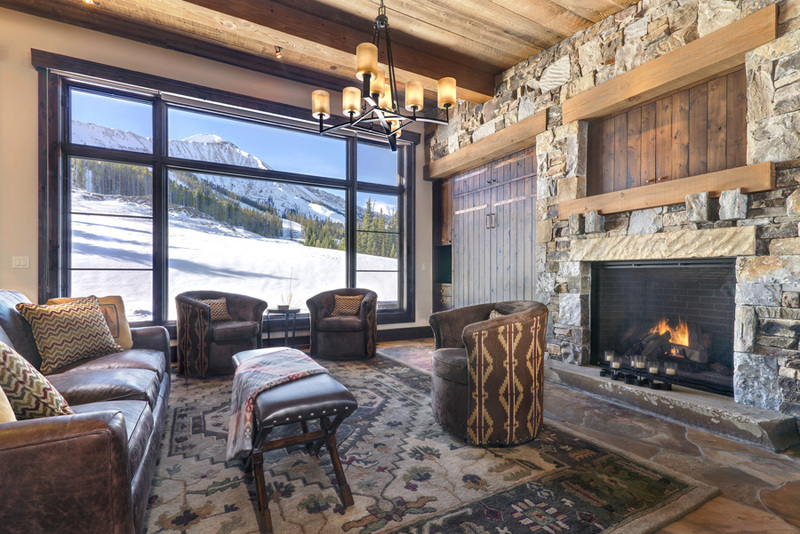 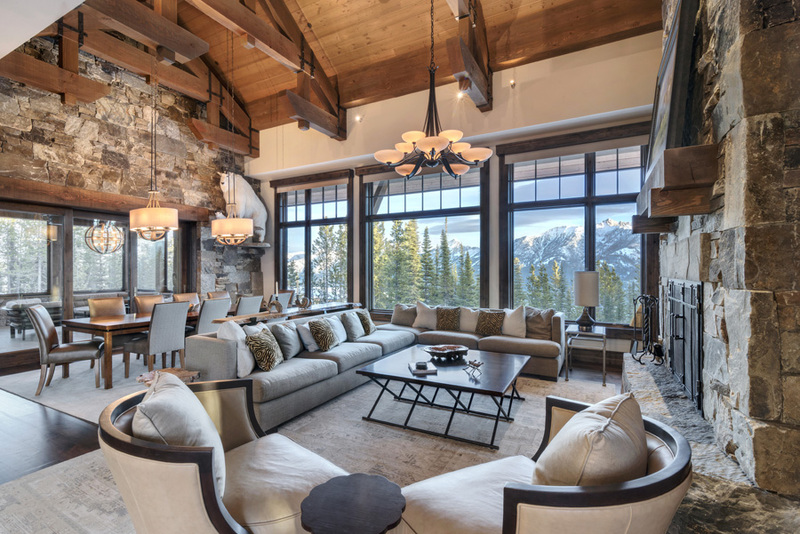 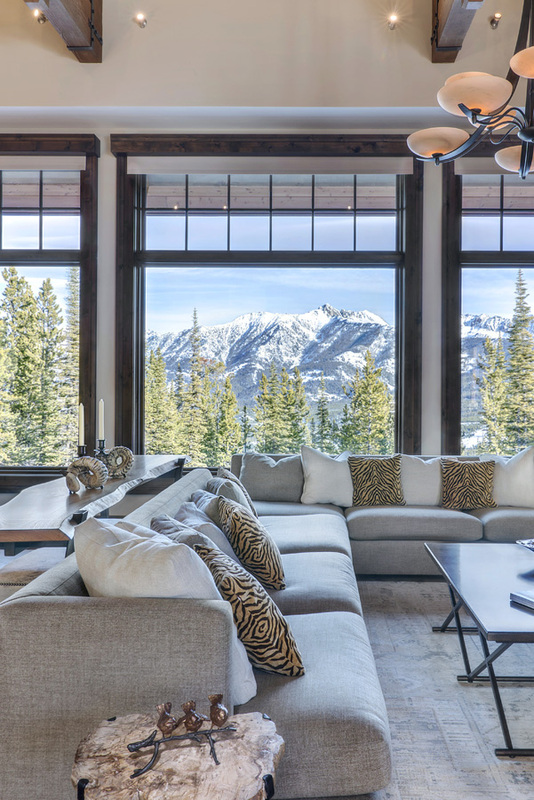 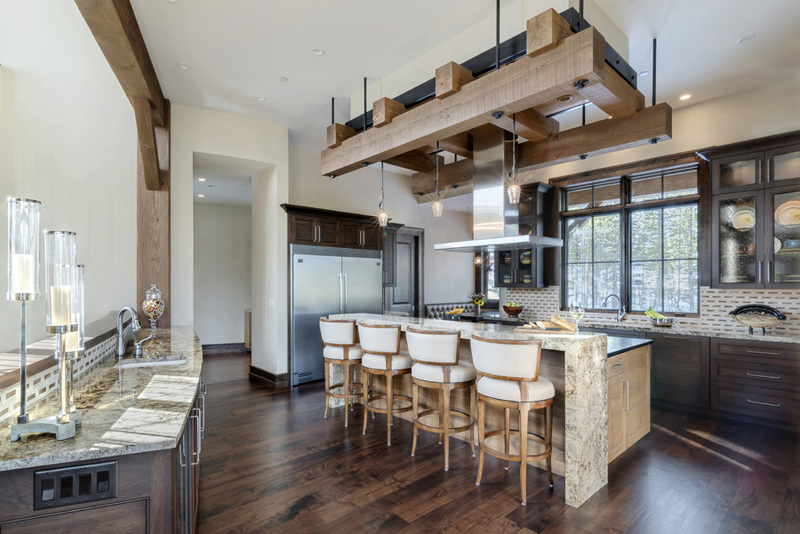 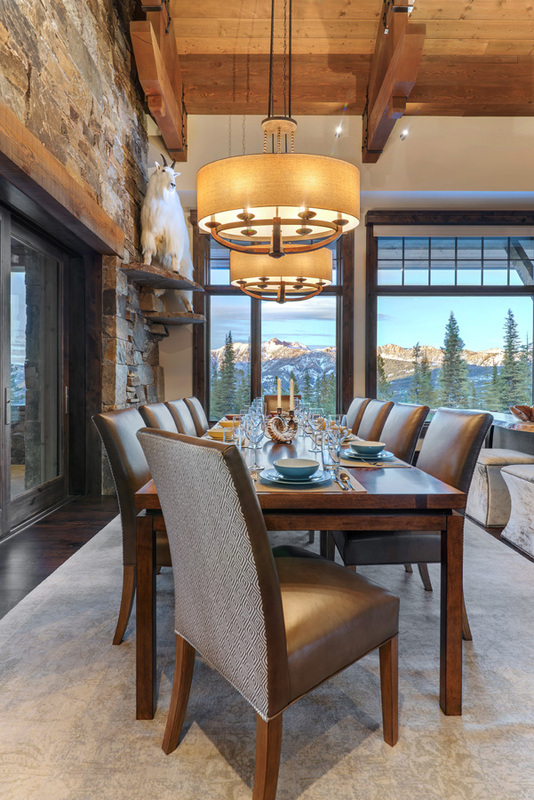 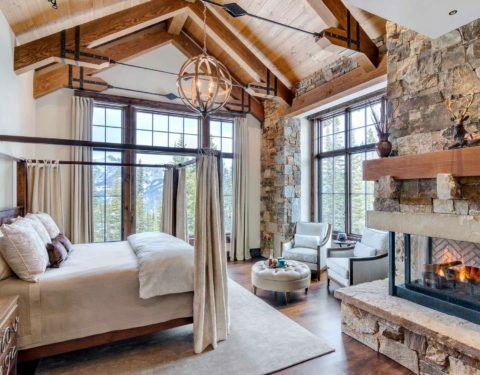 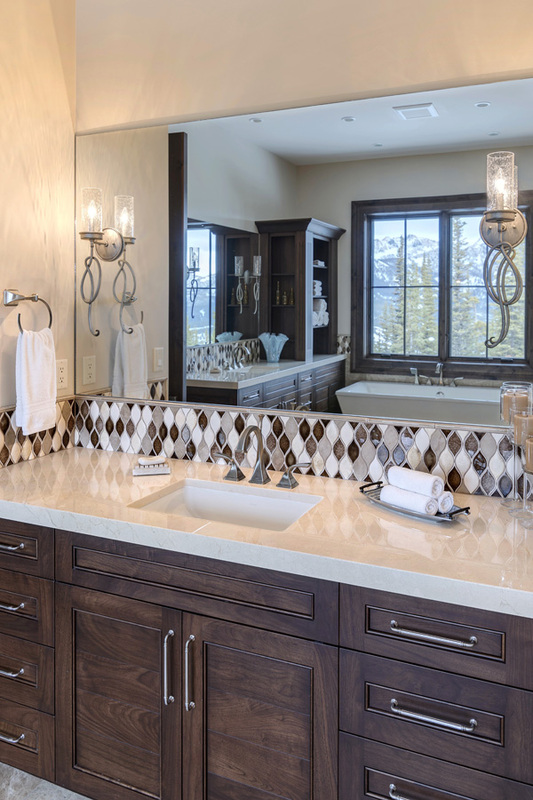 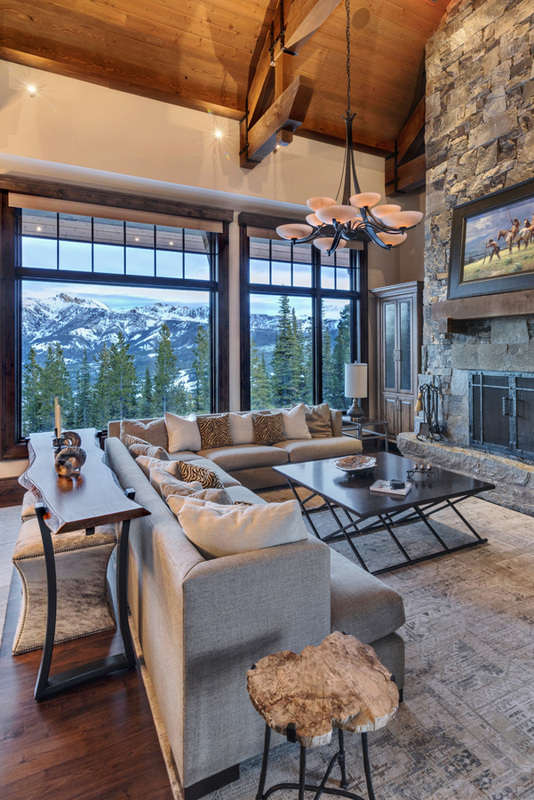 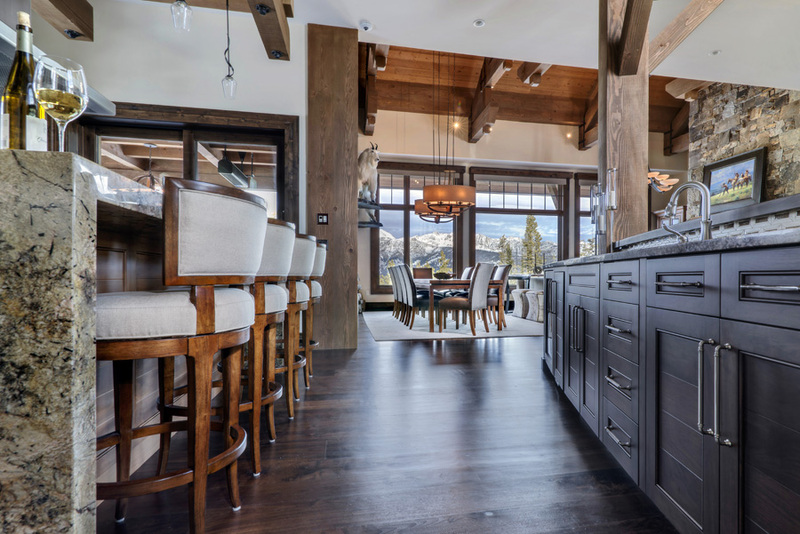 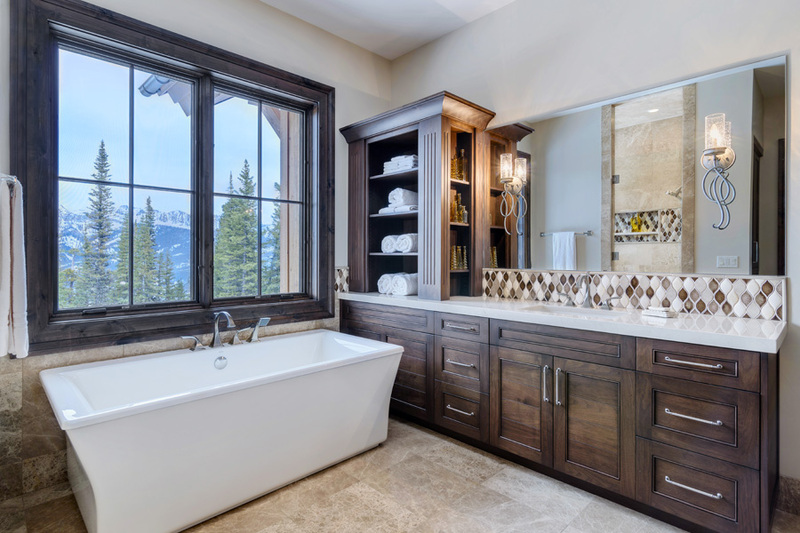 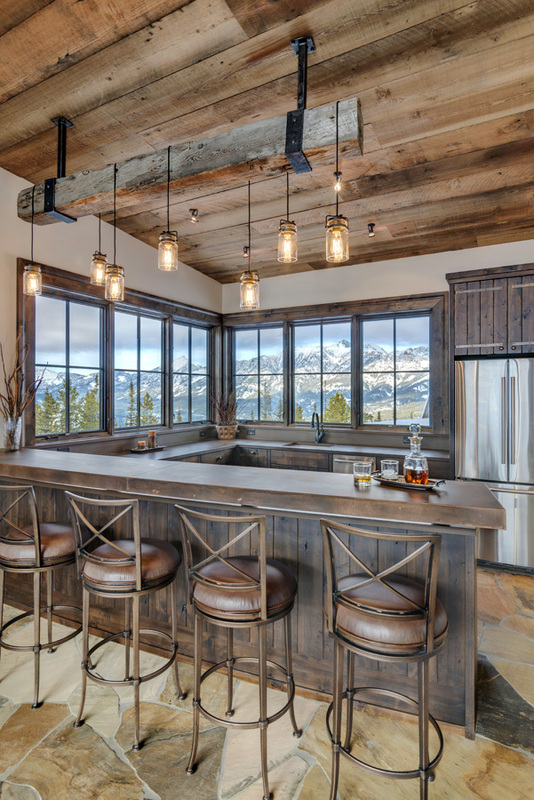 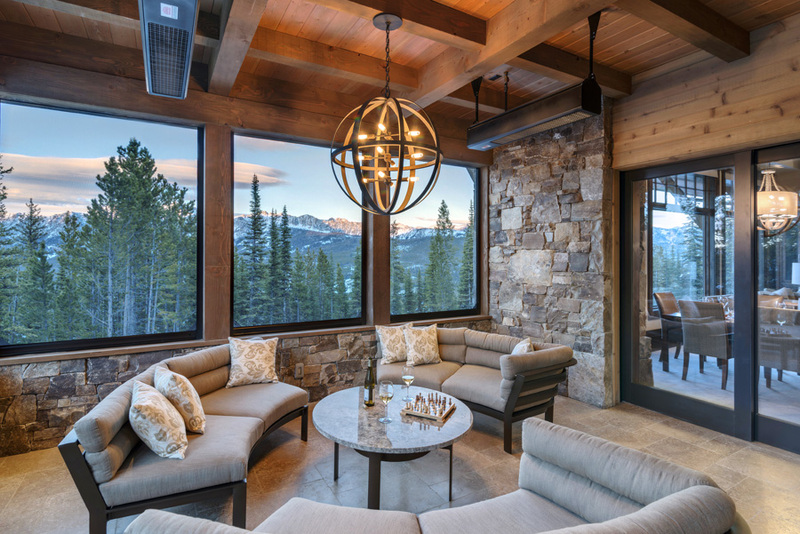 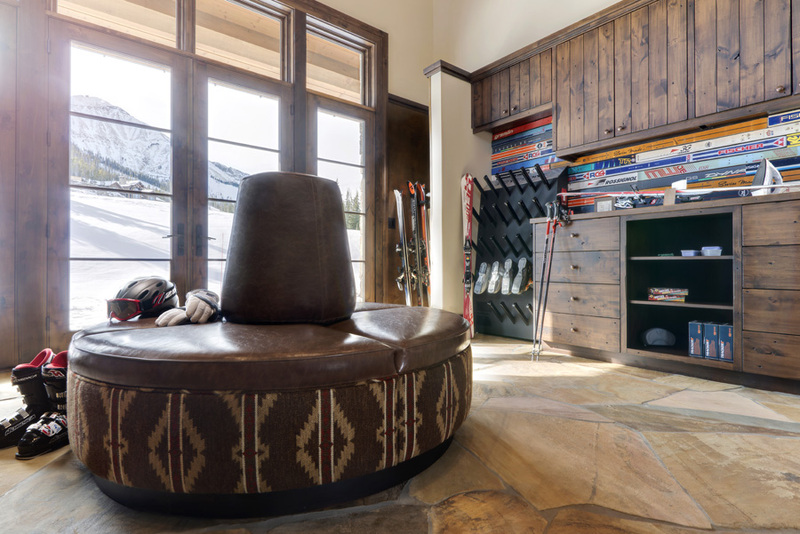 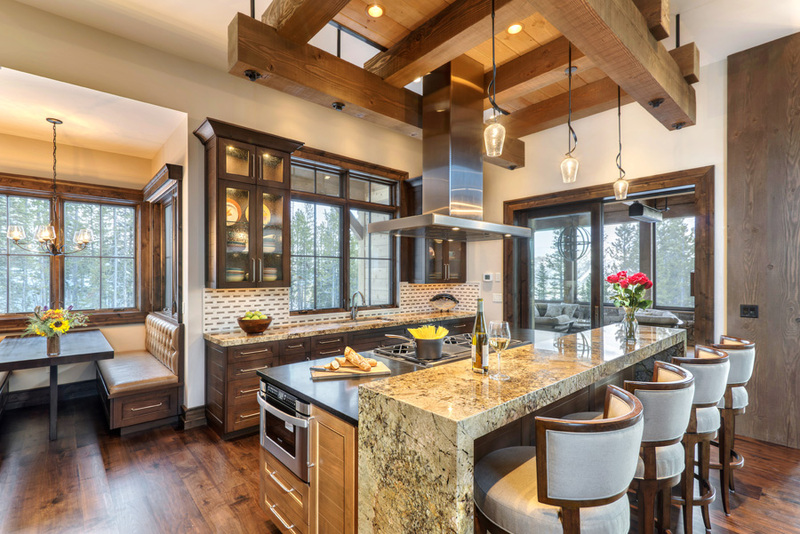 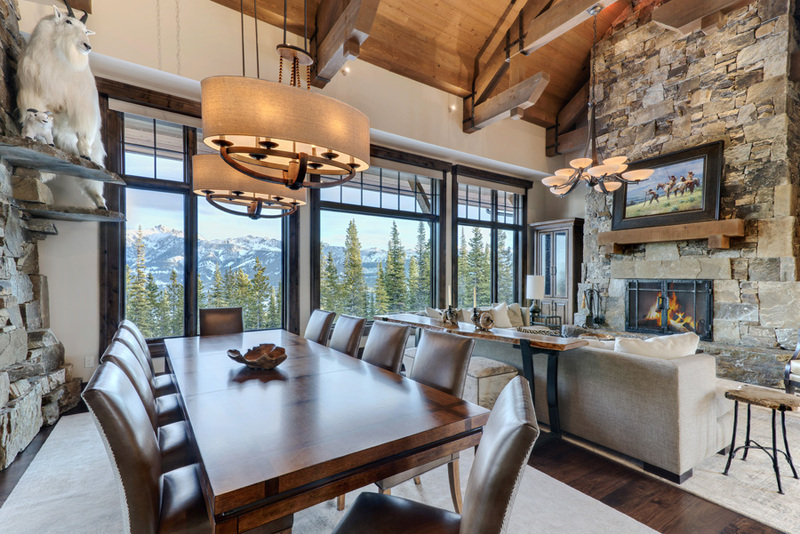 Whether the owners enjoy a glass of wine from the warm sunroom or utilize the convenient ski room to suit-up for ski-in-ski-out adventures, their Big Sky luxury mountain house accommodates both amenity and access for friends and family in any season.